Microsoft is slowly trying to prove that their digital rental service Xbox Game Pass is worth spending your hard-earned cash on. The month of August will see the addition of seven new and fairly notable games to the service, according to the Xbox Wire blog. It’s a lot of great games for players to get their hands on. As you can see, Xbox is still showing the mostly forgotten-about Kinect camera some love. Indie games like the gravity-bending platformer Dandara and the cyberpunk top-down shooter Ruiner are also hidden gems. 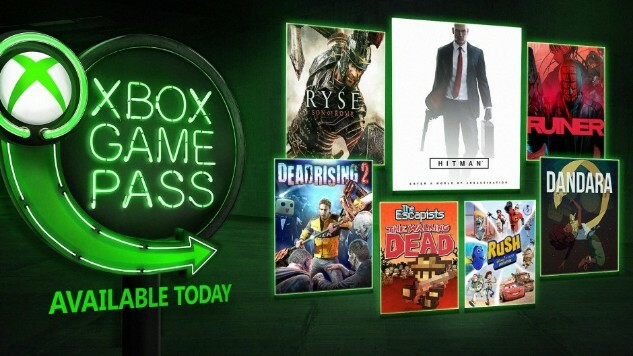 Arguably, the three biggest additions to Xbox Game Pass are Hitman, Ryse and Dead Rising 2. There are several flavors of games to satisfy any player. Microsoft has heavily supported its Xbox Game Pass service since its release. Since E3 2018, the company has implemented plans to improve how games are downloaded, as well as to curate the quality of content coming to the service. Along with the announcement of games coming to the service, Microsoft is giving fans a better way to stay updated on everything Game Pass-related: You can follow the new Xbox Game Pass (@XboxGamePass) Twitter and Instagram accounts to find out the latest news.